The great feast of the Entry of the Most Holy Theotokos Into the Temple was celebrated at the monastery with the usual solemnity that characterizes our divine services. We were graced with what has become almost traditional, the presence of His Grace Bishop Nicholas of Manhattan for the All-Night Vigil. 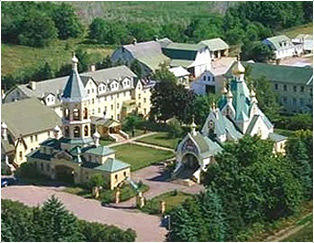 Vladyka is usually invited to serve in our parish in Syracuse, and so he breaks up his journey there from New York by staying in the monastery for the evening. One of the most poignant parts of the vigil for the feast is that this is the first time the faithful hear in the music of the feast words of joy concerning the upcoming feast of the Nativity of the Lord, “Christ is born, Glorify Him,” sung as the first irmos of the canon of the feast.